The location is ideal. One block off the main "strip". Quiet yet accessible to restaurants and beach in a flash! Exceptionally clean!! Captain Georgio was on site to meet us and explain all. He suggested Day trip itineraries and local restaurants. Welcome bottle of white wine from his own vineyard was a special treat!! Will definitely be back!! Our room was cleaned every day and the host was very helpful and friendly. He told us what is worth to see on the island, provided us with some additional accessories that we requested and was always available. 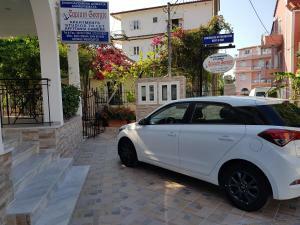 We also rented the car which was brand new and a pleasure to drive through the island. Exceptional host, close in town for all amenities. Daily turn down service. Overall great experience. Very clean and comfort apartment. Internet connection was solid except for several interruptions. Hosts were nice always smiling and ready to give you directions for the places on the island. sparkling clean, close to shops snd restaurants. the beach is nice. the owners are very kind and helpfull. the appartment is well equiped for self catering. Really enjoyed our stay here good clean well kept apartments and the hosts George and his son really friendly and helpful. we hope to return would definitely recommend staying here. THANKS . 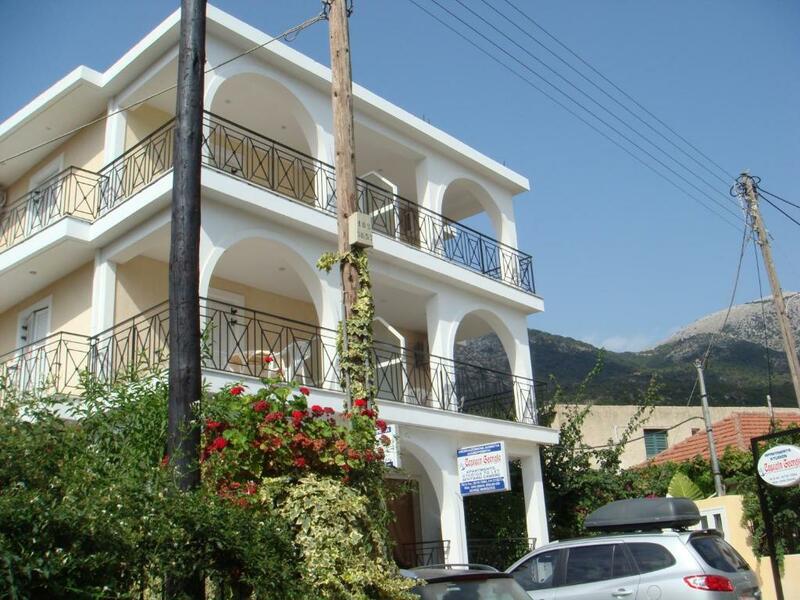 The property is perfectly located and very close to the beach, shops, restaurants, bars, petrol station, bank and pharmacy. The proprety is exceptionally clean, spotless clean appartment, everyday cleaning. Mr. Lefteris and his father Captain Georgio, are great hosts. 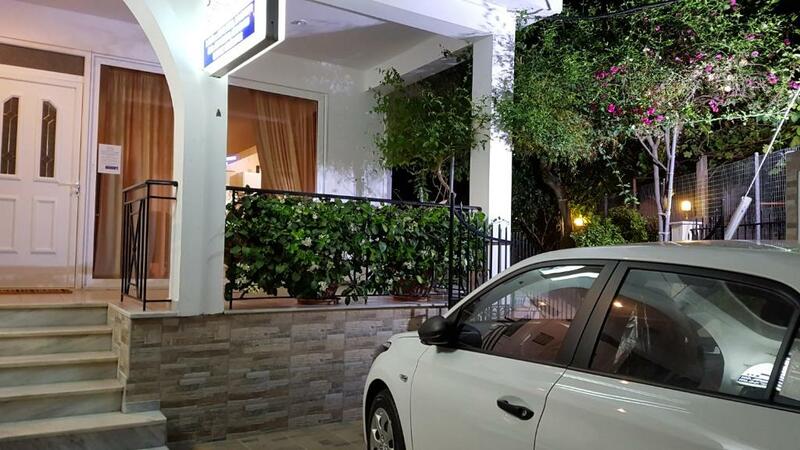 They give you a full assistance and support during your stay, from the moment they picked you on the airport. The last day my daughter injured her foot at the Poros beach. Mr. Lefteris immediately picked us and drove us to a pharmacy. Captain Georgio even called the pharmacist to open the pharmacy, because it was closed. Exceptional hospitality. Lock in a great price for Captain Georgio Apartments – rated 9.6 by recent guests! 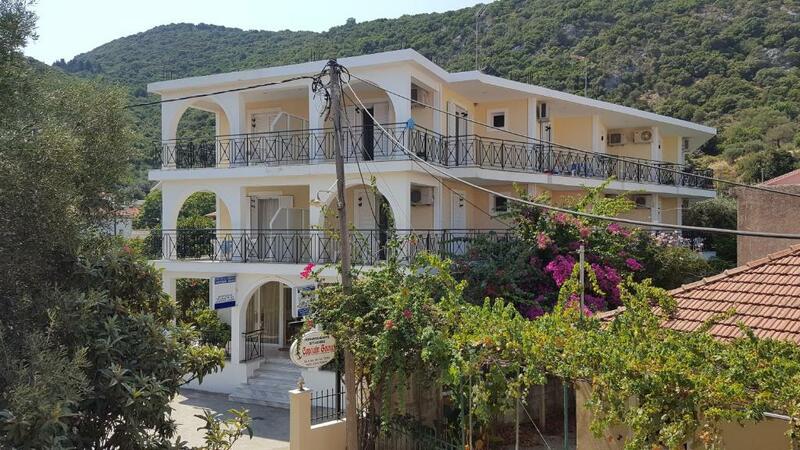 Centrally located in Poros, Captain Georgio Apartments is surrounded by lush greenery and orange groves 150 feet from the beach. Shops and restaurants are within a 3-minute walk. It offers apartments overlooking the garden. All apartments at the Captain Georgio provide a TV and air conditioning. Each has a kitchenette with a refrigerator and cooking facilities. 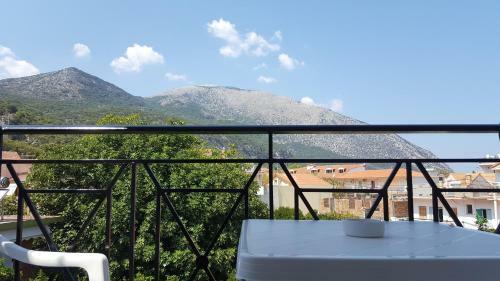 Some units offer views to the mountains or the Ionian Sea. Free WiFi is offered in public areas. 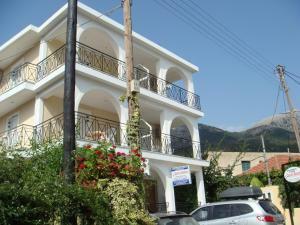 The property is 24 mi from Argostoli Town and 40 mi from the picturesque Fiskardo Village. Free private parking is available on site. When would you like to stay at Captain Georgio Apartments? Air-conditioned apartment 164 feet from the beach. Features kitchenette with cooking facilities. Offers balcony with views to the garden. Air-conditioned unit 164 feet from the beach. Features kitchenette with cooking facilities. Offers balcony with views to the garden. Air-conditioned apartment 164 feet from the beach. Features kitchenette with cooking facilities. Offers views to the garden and mountain. House Rules Captain Georgio Apartments takes special requests – add in the next step! Captain Georgio Apartments accepts these cards and reserves the right to temporarily hold an amount prior to arrival. Please inform Captain Georgio Apartments of your expected arrival time in advance. You can use the Special Requests box when booking, or contact the property directly using the contact details in your confirmation. It was difficult to find parking near by. Very positive and helpful staf. spotlless clean spacious apartments very nice patio very well equiped, a/c in both rooms owners are incredibly kind and did a lot to make our stay perfect free pick up from aiport and they let us good cars for veery reasonable price. And Kefalonia itself is just beautiful. 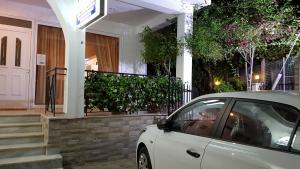 Poros is very genuine Greek village with nice spirit and good restarants. Lack of own parking place. Friendly, helpful host, everyday cleaning, really close to the beach. They really tried to help us with everything.